An eco-friendly solution to pack sandwiches, muffins, lunches and more. Can be used again and again saving throw-away waste and money. PVC and lead free, non-toxic fabric. 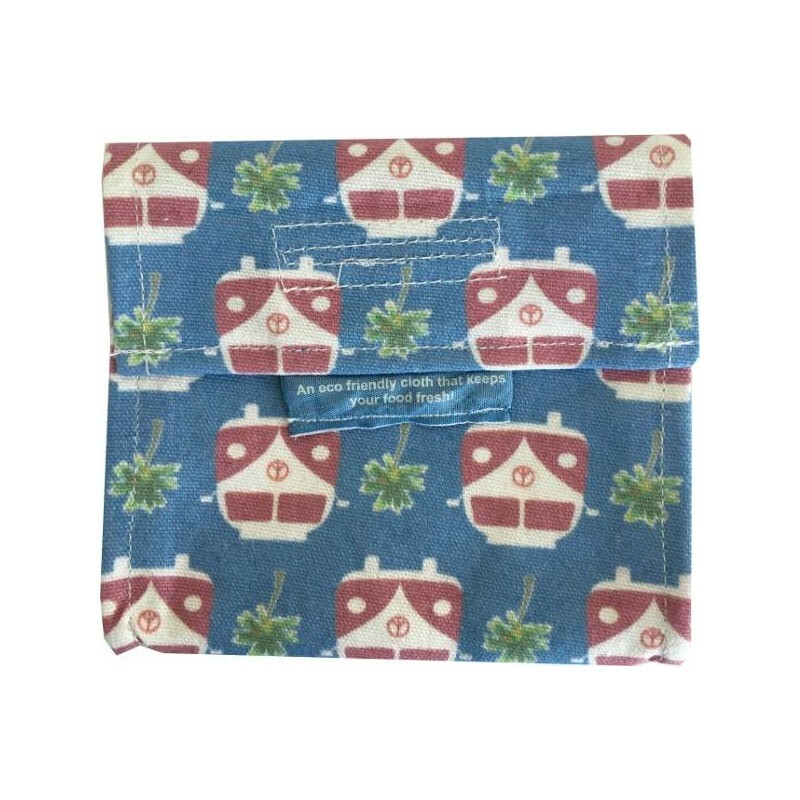 4MyEarth snack pockets are ideal for school lunches, taking your lunch to work and picnics. Help save thousands of throw-away plastic and paper food wraps from landfill and save money. Keeps food fresh. The snack pocket is great for snacks such as cakes, nuts, biscuits, cut up fruit and more. It has a velcro closure with gusset sides for extra room. Cotton canvas with a with a non-toxic biodegradable coating. Meets the Oeko-Tex 100 Standards*. Simply fold down and seal with Velcro. Extra long velcro allows for versatile sizing so smaller food won't shift inside the pocket. Easy to open and close, not like some plastic containers that can be very hard for little fingers to open. Coating is thin and breathable so as not to breed bacteria. Label has space for you to write a name on. *Oeko-Tex 100 Standards comprehensively address the Human Ecology component of textile products. It evaluates and screens for any harmful substances present within processed textiles intended to come into contact with consumers. My daughter has been using her snack pocket everyday for about a year, and it is still in excellent condition. 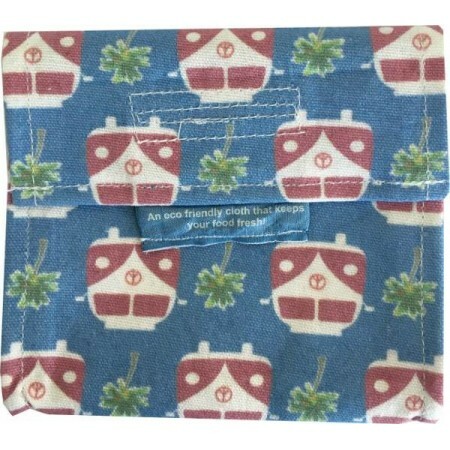 So handy for all her dry snacks and dries quickly for use the next day.